Asset management is a competitive business. If you don’t have easy access to the right information, you make poor decisions and miss opportunities. And it takes the right technology to get that data. In this video series, we discuss 6 scenarios where Artificial Intelligence (AI) can make a significant difference in how you operate. If you missed it, read the Introduction to the series, 6 Ways Asset Management Firms Can Benefit from Artificial Intelligence. which provides a brief summary of each video. This video discusses and demonstrates an AI solution to one of the most important and challenging areas in asset management. Wholesalers burdened with going through thousands of lines of sales and trade data spend too much time on it, and since they’re human, they will make mistakes and make biased decisions. Without insight into how their interactions with advisors, branch offices, or broker dealers are affecting sales outcomes, they are operating in a vacuum. This isn’t a traditional software demo; it’s a demonstration of a powerful platform that connects all the pieces and then applies AI. You have access to a huge volume of information, but also managing the information can be difficult. The real challenge is managing the information in a timely manner. In other words, if you review the available information and come to the correct decision, but you don’t do it quickly, was the information valuable? And what if you get it wrong? With so many accounts and transactional data, it’s difficult if not impossible to identify trends and determine how the data impacts the overall relationship with your advisors. The goal for the wholesaler is to recognize product trends at the advisor level, but to see them at a macro level. As a wholesaler, you are dealing with hundreds, if not thousands, of advisors, so it’s difficult to see these trends so you can take advantage of opportunities and be proactive. You depend on data summaries to make these decisions, but they are time consuming to prepare and are prone to error because you can’t catch every possible variation, exception, or trend. Also, the data summary is subject to observer bias (i.e. outcome is what the observer “expected”). You might think artificial intelligence and machine learning is “in development” or a “thing of the future.” Not true. If you have a CRM solution, it is probably already available to you. And it is certainly a part of Microsoft Dynamics 365 for Sales. Watch this video to see how artificial intelligence (AI) and machine learning can help address this challenge and stay tuned for more videos in the series. In his role as Director of Customer Experience, Mike leads initiatives to ensure a consistent, positive experience for every customer, from setting expectations in the first meeting through ensuring satisfaction upon project completion and beyond. 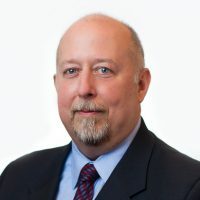 In addition, His goal is to help customers identify ways to leverage their existing technology investments to address new initiatives and make continuous process improvements.